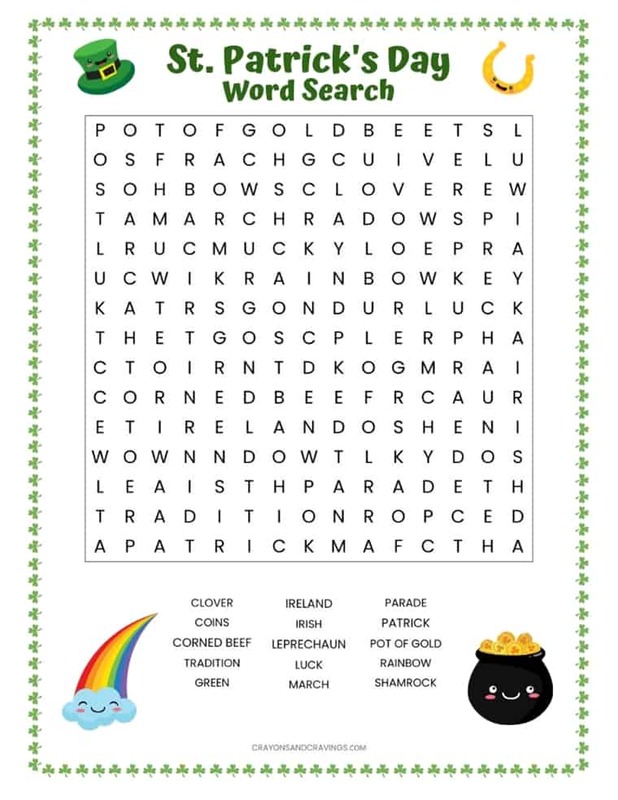 St. Patrick's Day word search FREE printable worksheet packed with 15 words to find such as shamrock, Ireland, and rainbow. With St. Patrick's Day nearing, I thought it would be fun to create a printable St. Patrick's Day word search puzzle to share. 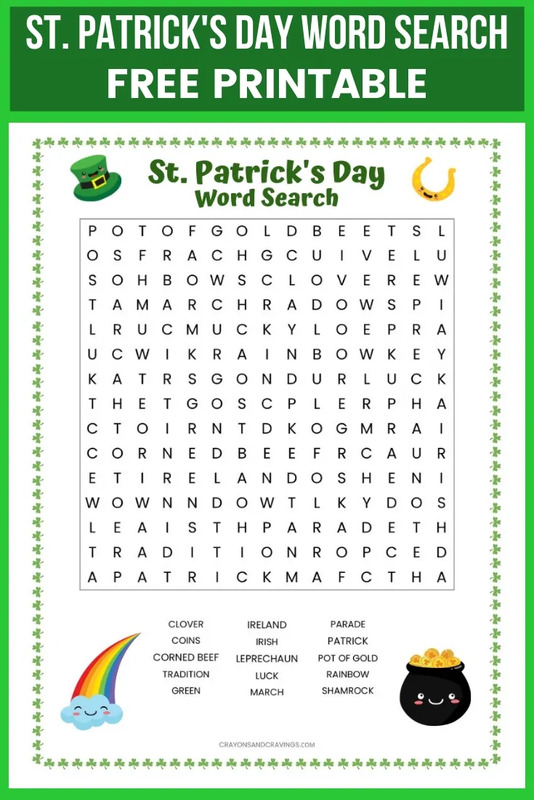 Packed with 15 words to find, this St. Patrick's Day word search would make a fun St. Patrick's Day classroom activity for kids the complete on the holiday. Or, the worksheet could be a great activity to have the kids do at home the weekend before the holiday, just for fun. Plus, doing word search puzzles such as this St. Patrick's Day word search is a great activity for exercising the brain. Word searches require concentration, and help to build vocabulary and reinforcing spelling skills. In fact, even adults can even have fun doing this word search puzzle. They really are a great way to relax and unwind. Click the image or link below to download the PDF file. Then, open the file and print the word search right from your home computer. Note: Words can be found horizontally, vertically, or diagonally (but not backwards). What other word search printables would you like to see on Crayons & Cravings? Drop your ideas in the comments section below so that I can bring you all what you would like to see.